The charity regulator has launched an investigation into the charitable work of Legatum, a free market think tank with close links to leading Brexit ministers, The Ferret can reveal. The Legatum Institute, a registered charity, has become increasingly influential in government circles since the UK voted to leave the European Union. The Charity Commission has opened a ‘compliance case’ looking at whether Legatum’s trustees are running the charity in line with their charitable objective to promote education. A compliance case is the first step towards a potential full inquiry into the charity. An investigation by The Ferret has also found that the Charity Commission previously queried Legatum’s suitability for charitable status in 2011, and that the charity’s activities have changed since its registration. Legatum has taken public stances on Brexit, urging the government to remove all tariffs and leave the EU as soon as possible. The regulator places tight restrictions on the political activity of charities. Shanker Singham, chairman of Legatum’s self-styled ‘special trade commission’, has had at least seven meetings with government ministers. Last week he met Michael Gove. The Charity Commission said it was aware of media and parliamentary interest in Legatum. “We will be engaging with the charity’s trustees to seek assurances that they continue to comply with our guidance on the advancement of education for the public benefit and that they are actively protecting and promoting the charity’s independence,” a commission spokesperson told The Ferret. Legatum has a charitable remit to promote education. It had a turnover of more than £4m in 2016, primarily funded by a Dubai-based, New Zealand-born billionaire. Charities are exempted from business rates and receive relief on VAT and other taxes including donations. A charity’s focus cannot include a political purpose. Charity experts, lawyers and MPs have all expressed concerns about Legatum’s charity work. Jolyon Maugham QC, an expert in tax law, called on the regulator to review the think tank’s charitable designation. “The Charity Commission must now review whether taxpayers generally should continue to subsidise Legatum’s activities via charitable tax relief,” he said. In 2011 the Charity Commission wrote to Legatum expressing concern that it is was “not clear” whether Legatum was “capable of becoming a charity”. “The trustees will need to be able to demonstrate that they work they will be doing is advancing education in the charitable sense rather than simply promoting a particular point of view,” the Charity Commission wrote in response to Legatum’s application for charity status, according to emails released to The Ferret following a freedom of information request. In an email response Legatum told the Charity Commission that its research would be “be based on neutral evidence and statistics and any conclusions made will be based on such evidence”. The regulator subsequently granted Legatum charitable status. Legatum has emerged as the think tank of choice for many leading Eurosceptics. On his website, Brexit minister Steve Baker describes the Legatum Institute as “remarkable”. Legatum has strong personal links to the upper echelons of the UK government and the Conservative party. Legatum’s CEO, Baroness Stroud, co-founded the Centre for Social Justice think-tank and was a special adviser to Brexiteer Iain Duncan Smith. Matthew Elliot, head of Vote Leave, is a senior fellow. Toby Baxendale, who helped run Andrea Leadsom’s Tory leadership campaign, is a trustee of the charity. Around 90 per cent of Legatum’s funding comes from the Legatum Foundation, which is controlled by Christopher Chandler, a Dubai-based private hedge fund billionaire, originally from New Zealand who made much of his fortune in post-Communist Russia. The Legatum Institute was initially set up as a company, incorporated in the Cayman Islands, in 2008. The company’s purpose was “philanthropic development”, according to its registration at Companies House. Its work included a popular annual ‘prosperity index’ that measures nations’ success across a range of indices. When a separate Legatum charity was set up in 2011, the regulator expressed concerned about how the charity and the company would work together. Legatum told the Charity Commission that the company would not benefit from the charity’s work, and that the two enterprises “will remain separate”, according to released emails. Legatum goes on to say that “the trustees believe that there is very little risk of a conflict of loyalty between the two organisations arising”. 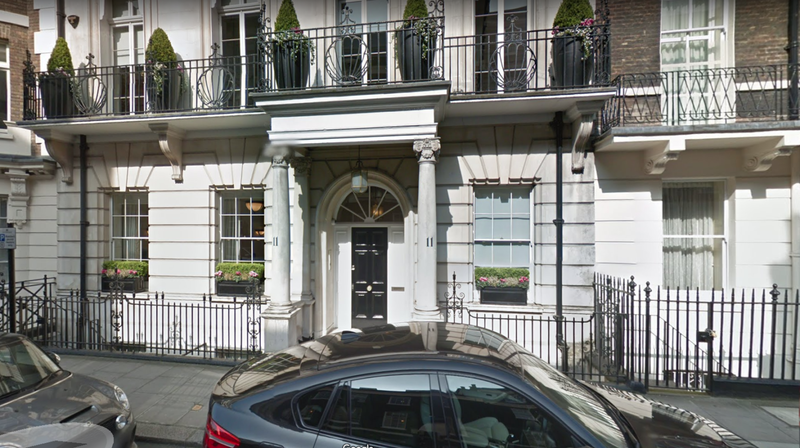 The Legatum charity and the company share some senior offices and their remits are very similar, The Ferret has found. According to its 2016 accounts, the company’s main activity is ‘providing research and advisory services for philanthropic development’. The charity’s accounts for the same year describe its focus as to ‘undertake research’ and to ‘disseminate the results of that research’. The Legatum Institute’s income has grown significantly in recent years, from £35,000 in 2012 to more than £4m in 2016, according to accounts filed with the Charity Commission. At the same time, the company’s activity has been significantly reduced. In its 2015 annual report, the company said that it had “ceased most of its trading” on 31 May 2014. The charity’s consultancy work was carried through a company called Catalitix Limited, controlled by the Legatum Foundation, according to documents filed with the Charity Commission. Catalitix was dissolved in November. Legatum is based in offices in Mayfair. The lease is held by Basswood Properties Limited, a company registered in the British Virgin Islands linked to its main funder. The rent in 2016 was £565,000. Charities do not typically pay business rates. A number of think tanks are registered in the UK as charities. Criticisms have been levelled at the Charity Commission over its acceptance that these charities meet their guidelines. A leading legal expert called on the Charity Commission to instigate a full review of Legatum’s charitable status. “The Charity Commission started off expressing the right sorts of concerns about Legatum’s political activities,” said Jolyon Maugham QC. Former Charity Commission board member Andrew Purkis called for the regulator to “dig down” into Legatum’s activities. “The Charity Commission has made it clear in its guidance based on case law that a charity whose objects are the advancement of education must not be promoting a controversial predetermined viewpoint,” Purkis told The Ferret. “It is a bitter irony that a Brexit campaign that was won with the promise of ‘taking back control’ is now seeing shady groups like Legatum exploiting loopholes in tax law to lobby ministers for a hard Brexit that will benefit its super-rich backers far more than it will the general public,” said Doherty-Hughes. David Miller, founding member of transparency advocacy group Spinwatch, accused the Charity Commission of failing to address the issue. Many leading Conservatives have approvingly cited Legatum reports in recent months. Theresa May, then home secretary, was guest speaker at the 2015 Legatum summer party. The Mail on Sunday reported that Legatum’s Shanker Singham was involved in a letter that Michael Gove and Boris Johnson wrote to Theresa May calling for a firmer line on Brexit. The paper also reported links between Legatum’s funders and Russia, specifically Vladamir Putin. Legatum denied any link with Putin. The Legatum Institute were approached numerous times for comment on this story but have so far declined to issue a statement. Any comment received from Legatum will be added to this story. Photo: Legatum offices, Mayfair. Google Street view. This article was updated on 30 November to clarify the position of the Charity Commission.